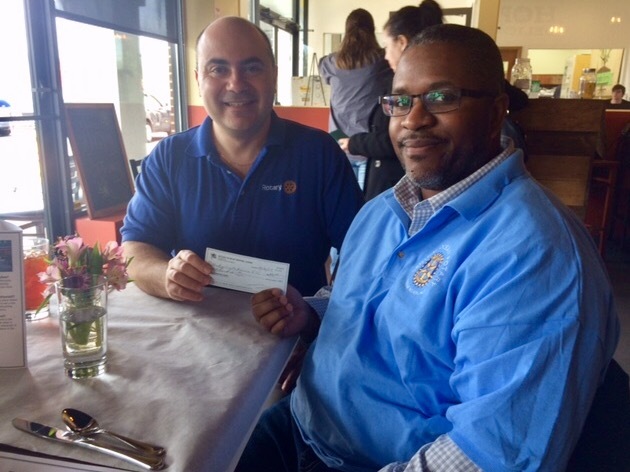 At today's meeting, club president Michael Bucca presented a check to Jerome Townsend representing the Boy Scouts of America - Jersey Shore Council. Our club is proud to support the Boy Scouts with both financial support and volunteers. For more information, please log onto https://www.jerseyshorescouts.org.